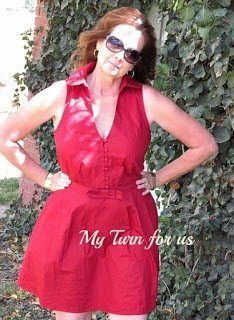 I am so excited welcome Evelyn from My Turn For Us. 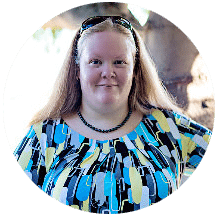 She was one of my very first bloggy friends and has always been one of my biggest cheerleaders! She helps keep me in line and gives me that extra bit of courage when I need it! 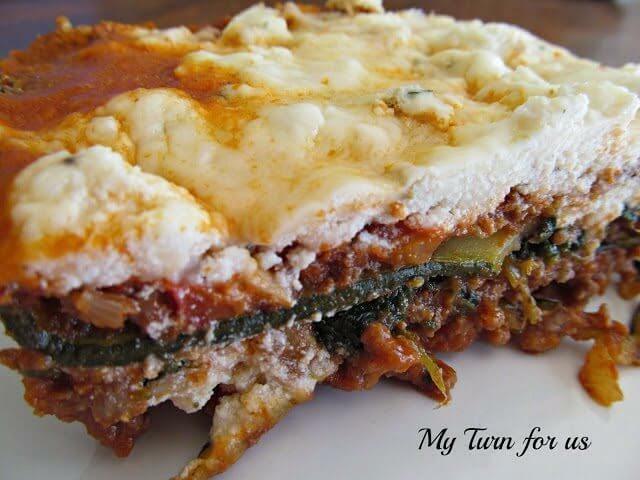 She shares great recipes and the occasional craft or tidbit about life on her ranch in Texas! I am so thrilled to have her here today! Be sure to stop by her blog and enter to win the NINJA Supra Kitchen System that she is giving away! Round out dinner by checking out Cupcakes & Kale Chips for some Healthy Desserts or The NY Melrose Family for some Healthy Snack Ideas in our #EatHealthy15 Series. 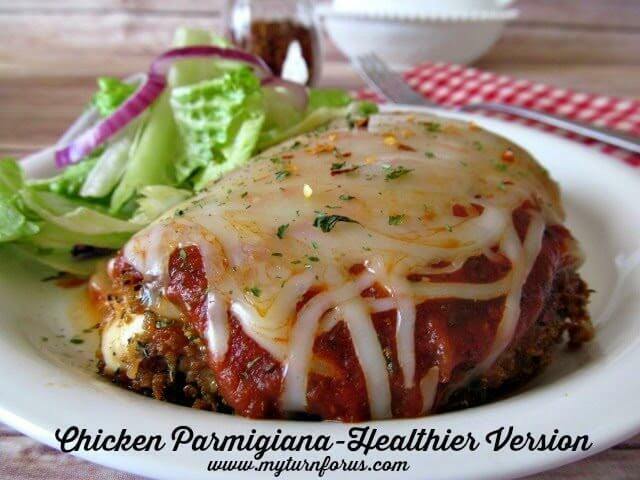 This Chicken Parmigiana has all the flavor of the original, but with a few changes that make a big difference. I’m Evelyn from My Turn for us and I am so excited to be here visiting with everyone today and wish to thank one of my best buddies, Jamie for the lovely invite!! 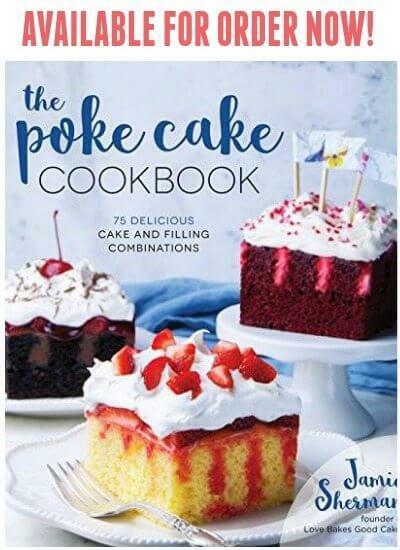 Just like you l am a major fan of Love Bakes Good Cakes and am honored to be able to share this lower calorie recipe with all of you. I am trying to be a little healthier and lose a few pounds in the process, but I refuse to give up my favorite dishes. 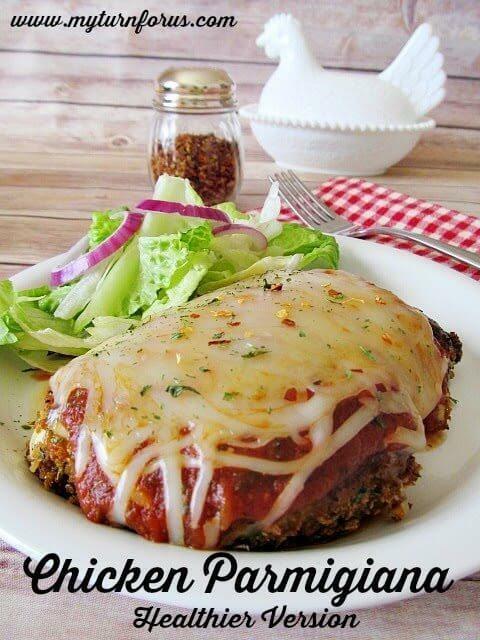 This Chicken Parmigiana has all the flavor of the original, but with a few changes that make a big difference. 1. In a blender or food processor grind cereal into crumbs. Transfer into a shallow bowl, add basil, oregano, parsley, garlic, salt and pepper. 3. One at a time, dip chicken breasts into egg substitute, shaking off excess, then coat with the crumb mixture. 5. Add chicken breasts to skillet, cook, turning once, until no longer pink in center, about 4-6 minutes per side. 6. Spread about 1/4 cup of sauce over chicken in skillet, sprinkle with half the cheese. My favorite way to serve this dish is with steamed asparagus and a fresh crisp salad with low-fat Italian dressing. That makes a great low-calorie meal! 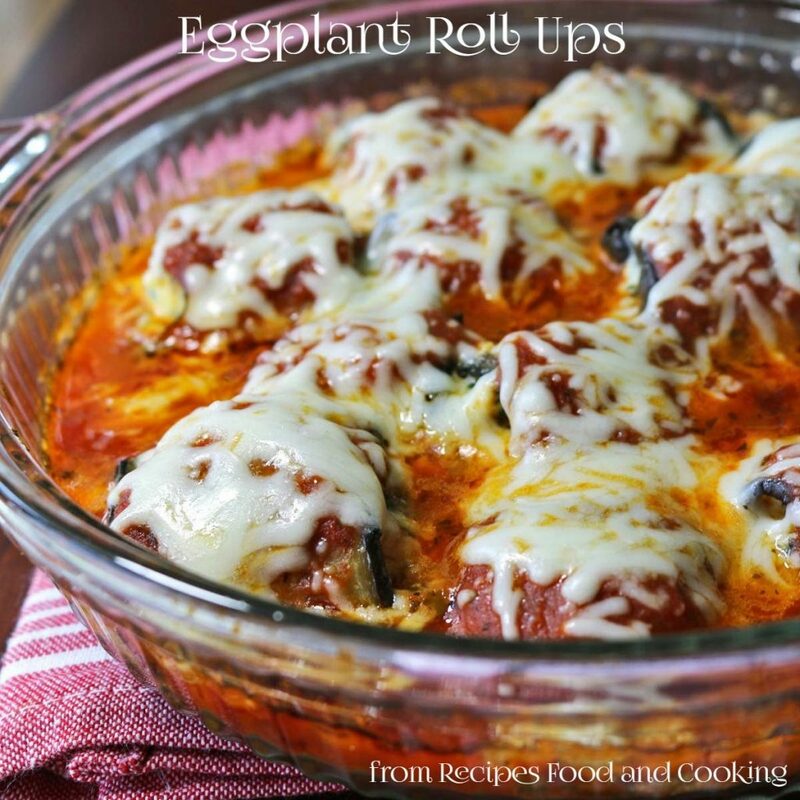 I hope you enjoy this dish and wish you loads of luck with your goals for a healthier you! You can do it, just take one day at a time and eat exactly today what you need to eat, get a little more active and just enjoy your life!! 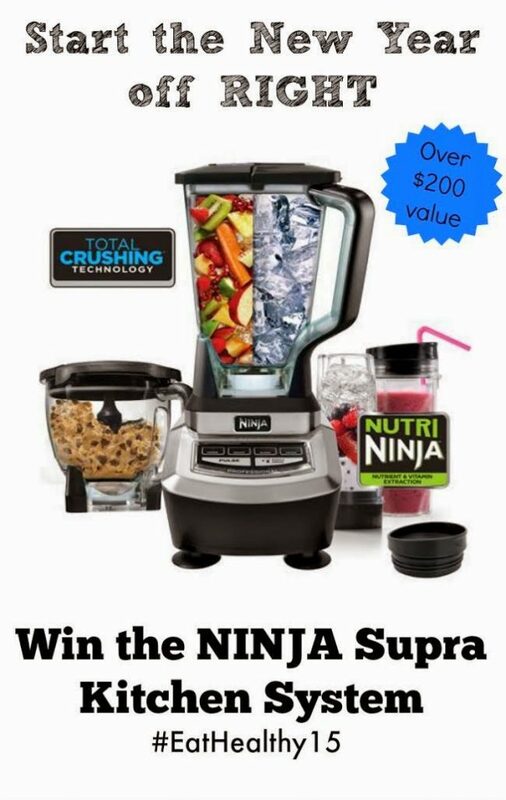 Don’t forget to swing by My Turn For Us and enter for a chance to win a NINJA Supra Kitchen System as part of the #EatHealthy15 series! Hey there Jamie and Evelyn! Love the #EatHealthy15 series. 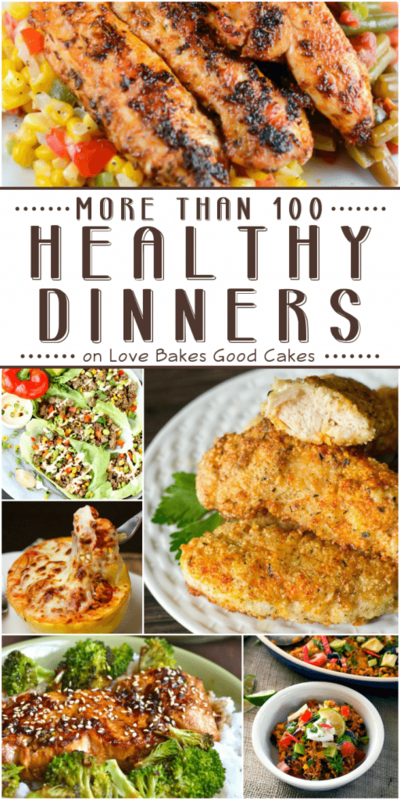 Will definitely be making Evelyn's chicken parmigiana heathier version. 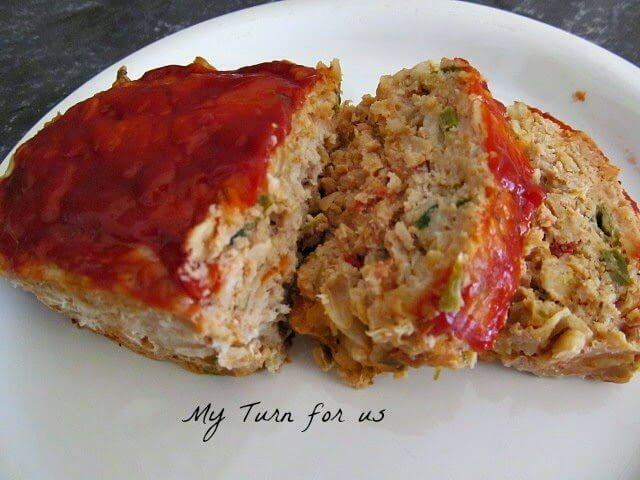 It's a delicious dish and always a favorite in our family. I can guarantee no one will notice it's a 'healthier version' of their favorite meal. Thanks also for the great giveaway!